Here is your chance to go on a real ghost adventure! It is common for guests to experience cold spots, see apparitions, and some have actually caught orbs and apparitions in pictures that they took during the tour. New Orleans has a very rich history, countless unsolved mysterys including both documented unsolved murders and suicides, and it also has some powerful paranormal activity. 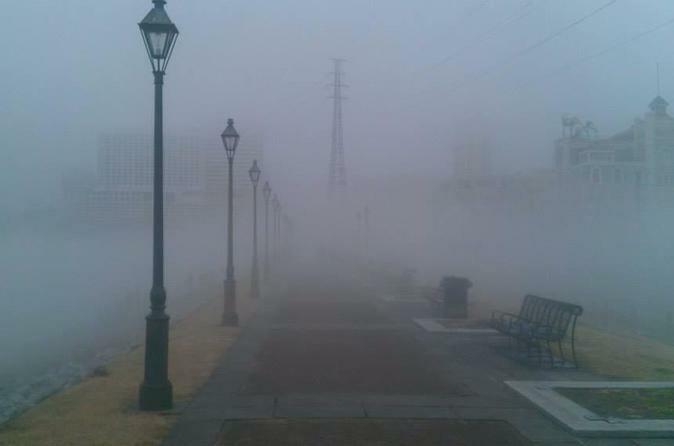 That is probably why it is referred to as the most haunted city in the United States. A real EMF Meter - Ghost/Paranormal Detector will be used during this tour. This tour will be stopping along the tour route to allow guests to grab to go drinks and use the restroom whenever needed. You will have the opportunity to investigate and explore one of the oldest neighborhoods in the United States with a licensed tour guide who lives and works in New Orleans Louisiana. History, ghosts, vampires and voodoo!! This tour has it all. This tour takes you to multiple locations where paranormal activity is common on a regular basis. You will hear stories and get to take part in an investigation that could lead to a number of sightings. Some guests do not see anything through the course of the tour and then at the end when they check the photos that were taken during the course of the exploration they are blown away at the evidence in the photos. Orbs and apparitions are commonly caught in photos taken at the locations that guests will visit during this tour! You will visit multiple locations of documented ghost sightings. Your tour guide will give the history behind the locations that are visited and then guests will hear about the ghost sightings that have taken place and hearing the history guests will understand why it is believed that they are still roaming the French Quarter alongside the living. A real EMF Meter - Ghost/Paranormal Detector will be used during this tour. Visit the location of the most predictable ghost in New Orleans, the largest mass murder in New Orleans history, and the most haunted house in the city, just to name a few. Stop in bars along the tour route to grab a to go drink and head out to the next location. Please keep in mind that some bars allow children inside, however some do not.